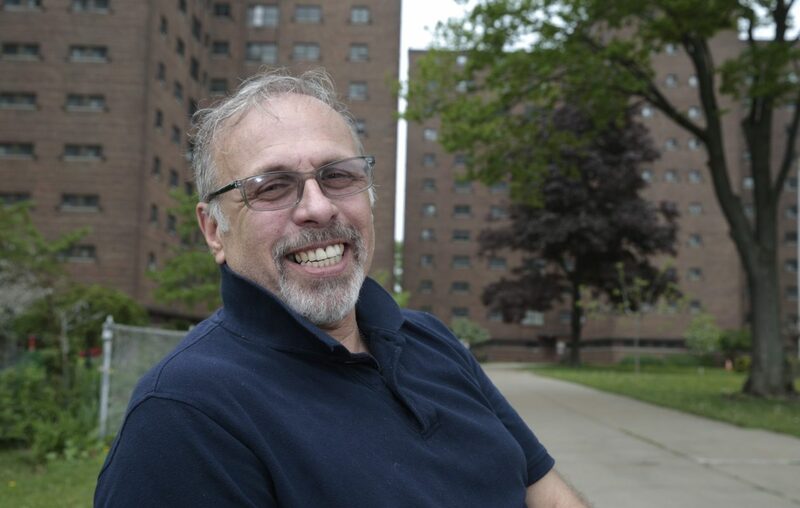 Joseph Mascia isn't welcome to return to the Buffalo Municipal Housing Authority Board because of racist slurs he made three years ago, a majority of its members have declared. Four board members voted Thursday not to allow Mascia to run for tenant commissioner in the June election. Given the seriousness of Mascia's past conduct, it's in the best interest of residents that he not be permitted to run for a commissioner's seat, the commissioners agreed. Mascia was tossed off the board in 2015 after making racist comments in a private conversation that was tape recorded and released to the media. He was banned from serving on the board for two terms, and can only run in subsequent years with permission from the board, under BMHA bylaws and a state Division of Housing and Community Renewal ruling on the Mascia ouster. The two-term ban expires this year, according to BMHA officials. As a result of Thursday's vote, Mascia will not be allowed to pick up candidate petitions, said BMHA chairman David Rodriguez. But Mascia says he's planning to run anyway, and will go to court to challenge the BMHA vote. The former commissioner Friday morning said the BMHA had not notified him the vote would be held, and didn't contact him after it was taken. Mascia later Friday went to the housing authority office to pick up candidate petitions. A clerk told him she was instructed not to distribute any to him, he said. He was then told about the vote, Mascia said. Mascia said he ended up getting a single blank petition from another candidate, and will make copies to collect needed signatures. Potential candidates must get 25 petition signatures from each of five different BMHA housing developments to qualify for the ballot, according to Mascia. "Let the residents decide if they want me," Mascia said. "Four people can't speak for 10,000," he added, referring to the number of commissioners voting to keep him from running to represent the BMHA's 10,000 residents. Two tenant commissioner seats are up this year. The seats are held by Leonard Williams and Robin Edwards. Williams and Edwards did not vote on the question of whether Mascia could run, on the advise of BMHA attorney Gillian Brown. Williams and Edwards plan to seek re-election, so their vote could pose a conflict of interest, they were told. The four commissioners who voted to bar Mascia from running were the mayoral appointees on the board. In addition to Rodriguez, they were Rev. Alan Core, Nona Watson and Rishawn Sonubi. The seventh BMHA commissioner, mayoral appointee David J. State, did not attend Thursday's meeting. In the 2015 tape recorded message, Mascia is repeatedly heard using the N-word to describe African-American leaders in Buffalo, including Mayor Byron W. Brown, Council President Darius G. Pridgen, and Assemblywoman Crystal Peoples-Stokes, as well as Dawn Sanders-Garrett, the outgoing BMHA executive director. Mascia Thursday said he's continued helping BMHA tenants despite his ouster, and repeated that his 2015 comments - which he has apologized for - were meant as a political commentary against political leaders and not directed toward the African-American community as a whole. "Those words are not the person I am," he said.